How does a girl—born a commoner—become the Queen of Egypt and mother of Ramesses II, one of history's greatest rulers? Gifted as a healer, able to make the lame walk and the blind see, young Tuya quickly gains the attention of the Royal Court and embarks upon a stunning romance that leads her to the pinnacle of Egyptian power and intrigue. 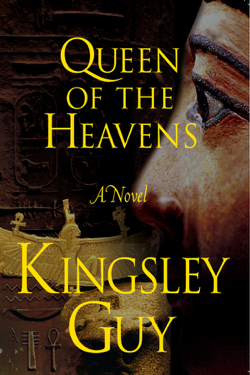 Through vivid imagery and storytelling, Queen of the Heavens captures the majesty of the Golden Age of the Pharaohs, bringing the distant past to life through Tuya, a woman for the ages who holds the power to heal, to captivate, and to inspire.